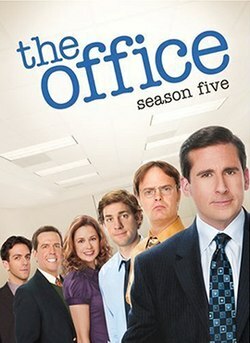 Anyone who knows me knows I am a huge fan of The Office. There are so many hilarious and precious moments throughout that show, but there’s one quote that really hit me hard. During the series finale, Andy Bernard states, “I wish there was a way to know you are in the good old days, before you actually left them.” When I heard this, it brought me to a realization. If you spend all your time thinking about the past and the “good old days” you won’t be able to enjoy your time now and won’t make good memories for later. The key to happiness, to a full life, is to live in the present and make the best memories you can in the moment. You can spend all the time in the world thinking about your past, but that would just be a waste of time. Unfortunately, having this mindset is a lot easier said than done. With the high stress environment we live in and the fear of the future, it’s comforting to live in the past, where there is certainty. We don’t have to worry about the past stabbing us in the back, or hurting us anymore, because it already happened. It’s an escape from the everyday reality we live in, and it can be extremely calming and uplifting. However, life goes on, and the only way to make sure that you are truly happy is to live in the moment. When you don’t look back and focus where you are now, you can enjoy the little things in life and make more memories that will last forever. So many people isolate themselves and want the past to last forever, but that is just an unhealthy habit that should be broken. My words to live by would be, make everyday be “the good old days” so when your time is up you can sit back and know that you lived a full and happy life.